Handmade Workshop starting from February!! In this workshop, you are able to learn how to make many different types of handmade items. You can take back home what you make in the workshop. Let’s start 2019 with creativity! This email explains about workshops 7～10. Would you like to make your own lotion that suits best for you without any unnecessary ingredients? Each of us has a different skin type and the condition of your skin can be different each day. You are the one who is most familiar with best and worst of your skin condition. Wouldn’t it be great if you could make/adjust a skin toner depending on your skin condition? In this workshop, we will make a toner with very famous medicinal herbs from ancient Japan, Yomogi and Doku-dami. Antioxidant effect in both herbs can be expected to work on pimples and deliver your skin to better conditions. It is also expected to help skin metabolism. 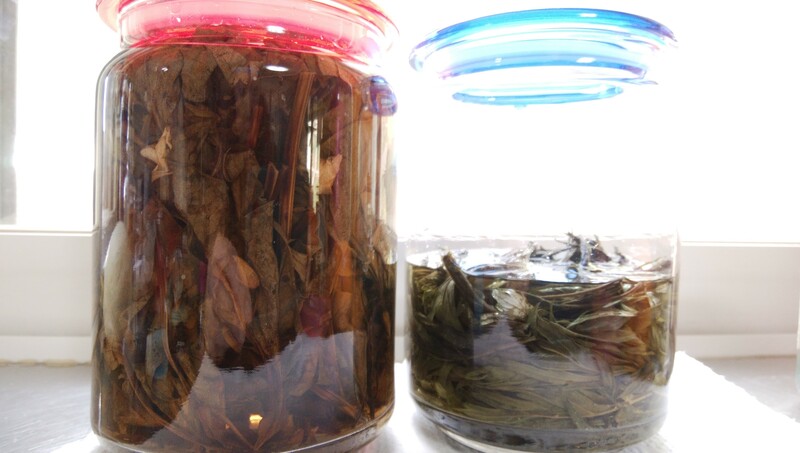 After introducing how to make extracts of Yomogi and Doku-dami, you will learn how to make two kinds of toners. You can ofcourse take it back home and start using it at home! Max. 6ppl for Each dat. Application is closed when fully booked. Please contact us (your name, workshop you prefer, date and phone number) to info@norikomatsushita.com. Let’s look after your skin gently with rice bran in this dry winter season!! There are great nutrition in rice bran; Ceramide for moisturizing, Vitamin E for anti-aging and Ferulic acid for skin brightening…etc. Let’s make high-nutritious skin care products without adding extra ingredients such as preservatives. You can ofcourse take the toner back home. What’s more, there will also be a little gift of 1x face mask with non-pesticide rice bran for you. How do you normally choose a handcream? Wouldn’t it be great if we could make a handcream that is completely what you want!! In this workshop, you will learn how to make a basic handcream with Beeswax and also recipes with other ingredients to enhance moisturizing effort. Once you know how to make a basic handcream, it is easy for you to make handcreams of different types!! Do you know easy hair removal method, sugar wax? Sugar wax leaves the skin nice, smooth finish after hair removal and you do not have to do it frequent like shaving with razor. It also removes dead skin on the surface of the skin. Easy and cheap to make. That is one of the attractive points of sugar wax too! You will also learn how to look after the skin after waxing and how to make sugar body scrub that you can use at home. Please grow the hair over 1cm in the part you wish to have waxing. 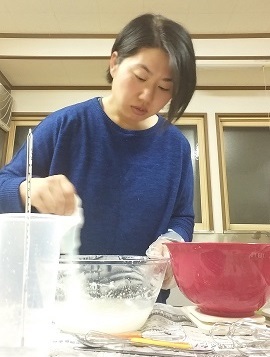 She not only makes her own Koji, seasonings like Miso, soy sauce, but also makes her own cosmetic items such as soaps, toners, face masks and scrubs…etc. Moreover, She grows the ingredients that she uses her handmade items in her garden too.